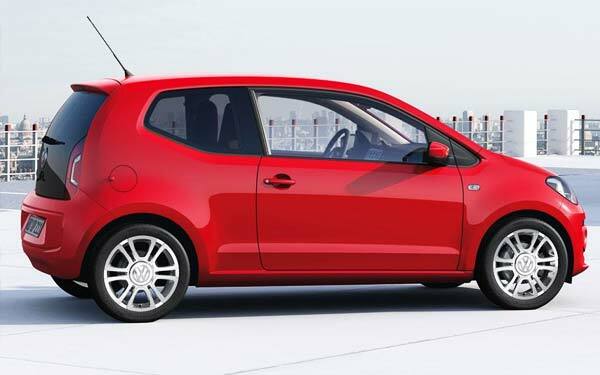 Good, Nice And Cheap: Volkswagen Up! CHEAP LITTLE VOLKSWAGEN CAR. VW showed off the capabilities of the Up and they say the Up! will have its electric version. It will be its first 100% electric model. Despite its small engine size, the car's handling is very good. Inside is a comfortable vehicle and well distributed, you can even save some backpacks in the trunk. Outside dimensions help it get into any parking space. Another good point in its favor is its design. The lines of the Up! call the attention of passers, the details and image often help to open a couple of doors or at least inject a little respect. Although it looks a simple grill and no further details, headlights and emblem of this little cheap car are aligned with the concepts that the brand presumes in the rest of its range. The back is much more daring, the crystal of the trunk and the way it is integrated into the rear retain much of the proposal presented by the first Up! conceptual, which gives it a futuristic touch. Volkswagen communicators explained that security systems help the car to slow down only when a collision is imminent, as long as your speed is less than 20 miles per hour. The infotainment system includes navigation and an accessible interface to synchronize the phone. Nothing to take more than a couple of minutes to understand. 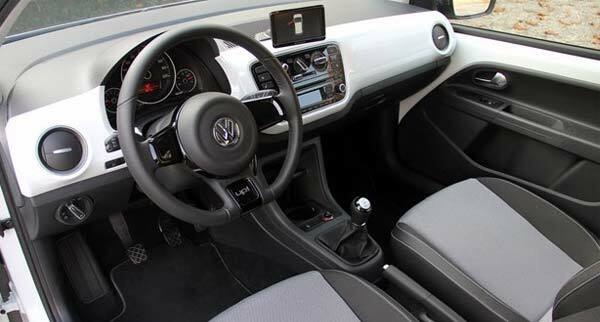 Using data for Germany, the price is close to $10,000 Euros, about $13.500 USD dollars, which is surprising for the amount of equipment and security systems that this inexpensive Volkswagen small car incorporates. The cheapest version will cost about $12,500 USD. In summary, with this small car the German company aims to simplify the lives of its users without many configurations, as there are only three, with no complicated gadgets, since all features come into one screen and without the heavy burden of paying for things that you don't use and and yards of sheet that are often impossible to park. This is the VW Up! a cheap small car that will give plenty to talk about in a world where people are looking for economy and efficient cars. Video: Volkswagen Up! a cheap small car full of great ideas. The VW Up! despite of being economy comes with all the features and toys for today's car shoppers.